The allbranded online shop features a wide range of the most popular promotional products. The individualised promotional gifts can be designed with your logo and a catchy slogan. This will create a lasting and positive impression for your customers, colleagues and business partners. Create attention and upgrade your advertising campaign with our classy promotional pen, practical USB sticks and delicious snacks. 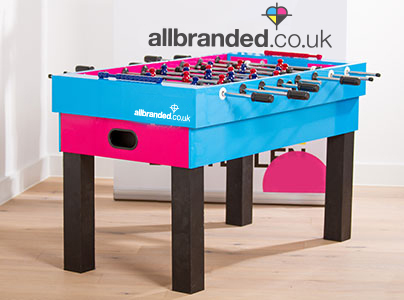 The customisable foosball table from allbranded is the right choice for efficient advertising campaigns. The extensive representation of the company logo ensures high attention. Who does not know them, the small and handy pens that are ready to be takes away at the GP’s reception, the lighters from your financial advisor that you use for a smoke during your lunch break. Promotional items are our daily companions and can be used in nearly any situation. 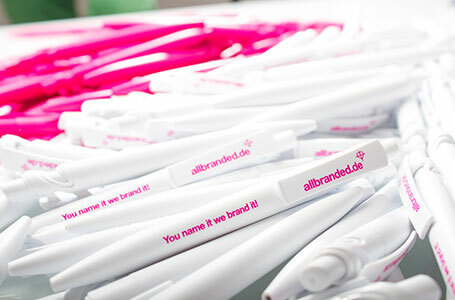 A study has shown that promotional products reach 88% of the population from the age of 14 – as many as no other medium! The daily usage significantly increases the chance for promotional contacts. In total, 84% of owners of promotional items use them at least once a day. In times of wasteful use of consumption goods, sustainability becomes an increasingly important aspect for business practice. Promotional products can also take care of that. They are often owned for more than two years and have a so-called long-term promotional effect. Especially popular among all parts of the population are strewing items (lighters, pens, key chains etc.). Especially small enterprises with a limited advertising budget profit from the high cost-effectiveness. That also explains why it is the most used communication medium for companies (47%). But how can they contribute to business success? First, the recipient needs to be analysed into more detail. When and how does he use the products? How did he get them – as promotional or employee gift, or through personalised mailing like folding cards and calendars? Each promotional product has its own individual qualities and finds its way to the different target groups. But one thing can be said for sure – the concrete use is instrumental to its success. The easy handling of a pen in combination with high quality makes it not only the best friend of students, but also of the housewife writing her shopping list. The repeated use achieves a long-term promotional effect. Moreover, you can create a positive brand image if you help the recipient in difficult times, e.g. during ice scraping in the morning. Personalised gifts leave a special impression and can be handed over after a business appointment, for instance a thermos flask with engraving or a photo album with pictures of the joint business trip. Especially the combination of four product characteristics like likeability (personal relevance), quality, originality (special, unique) and distinctive brand print doubles the advertising recall like no other medium. Printed promotional products are often used because they offer a specific functionality, have a distinct design or a high quality. 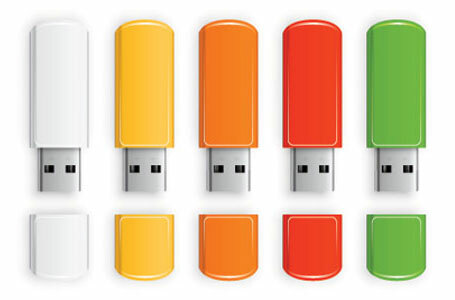 For instance, a USB stick can be used privately or for business purposes and is easy to transport. A glass with a modern design or with an elegant shape is not only a special part of the new owner’s kitchenware, but might also receive attention from guests and appeal to different target groups at the same time. A high-quality umbrella offers protection in rainy and stormy moments and can be used for many years. Especially during new product launches, free gifts motivate end customers to purchase. Especially large retail chains use this principle for their advertising campaigns and offer a whole range of additional gifts around a specific topic and trigger the customers’ collector’s passion. On-packs and in-packs are especially suited to honour employees for special achievements. The badges are seen like a medal and increase productivity. At seminars and other events, they give a sense of belonging to the own company. So called split products are distributed prior to an event – these are incomplete items that the recipient can complete when they visit the stand at the tradeshow. Especially popular are e.g. watches, the wristband of which the customer receives upfront, while they only receive the clockwork at the event. There are endless possibilities how to use such creative approaches. As one might expect, pens, calendars, t-shirts and key chains are among the most popular promotional items. Smaller products convince with a low price and diverse application possibilities. They increase the chance that the customer will still think of the company after receiving the product. All advocates of ecological products will also find what they are looking for. BIO cotton bags, recycled pens and glasses or BIO jelly gums show a sense of responsibility for the environment and sustainable management. Chromed coffee mugs or key rings with Swarovski crystals cater to anyone who is looking for something more exclusive. We should neither forget about personalised greeting cards that are sent to customers for company anniversaries or seasonal products that capture the heart of women as Valentines Day giveaways.